Let’s Make Magic together to support Sarahuaro, A.C.kids! Join Faryn Masso Clark & IBea Nåidoo and Let’s Make Magic together to support Sarahuaro, A.C.kids! Tickets available in all 4 Eclectic Array stores! 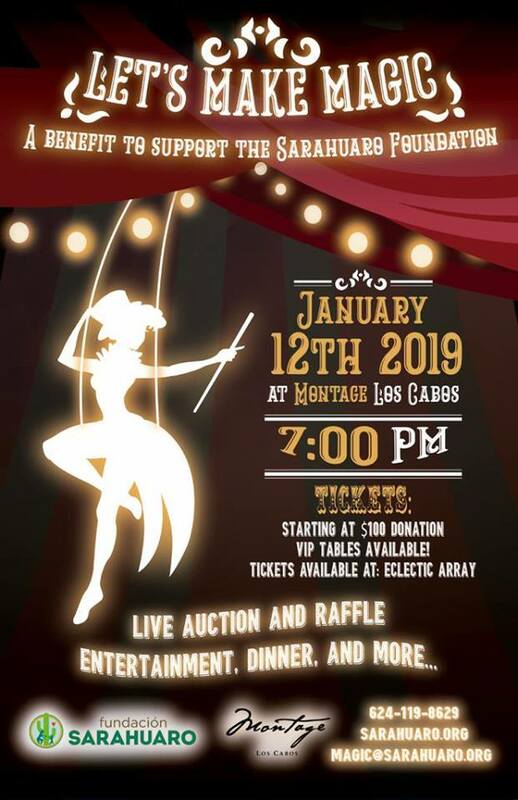 Join us in our goal to raise $60,000 USD to support the women and children of the Sarahuaro Foundation with this Magical event. 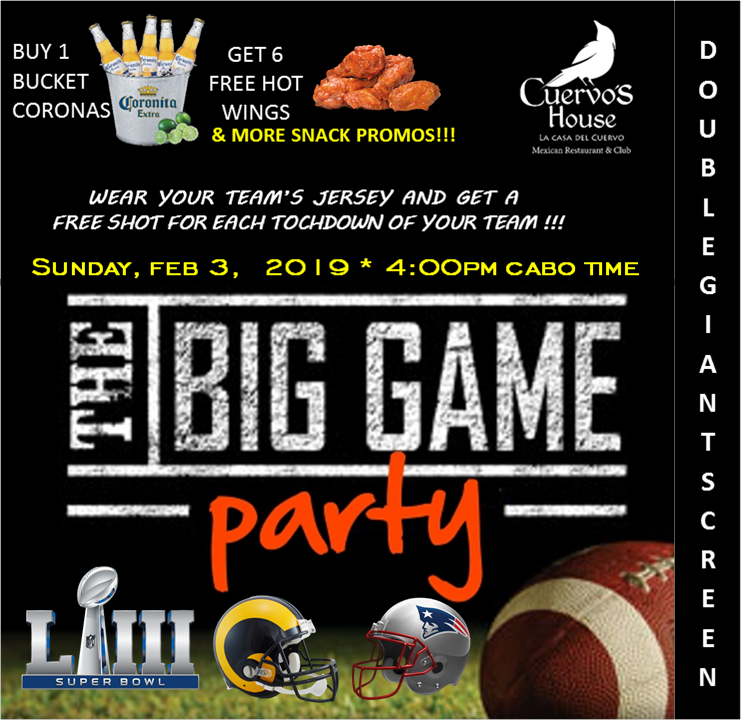 This entry was posted in Los Cabos Restaurants Events and tagged Fundacion Sarahuaro, Fundation, Montage Los Cabos on January 8, 2019 by Rebeca Valladares. 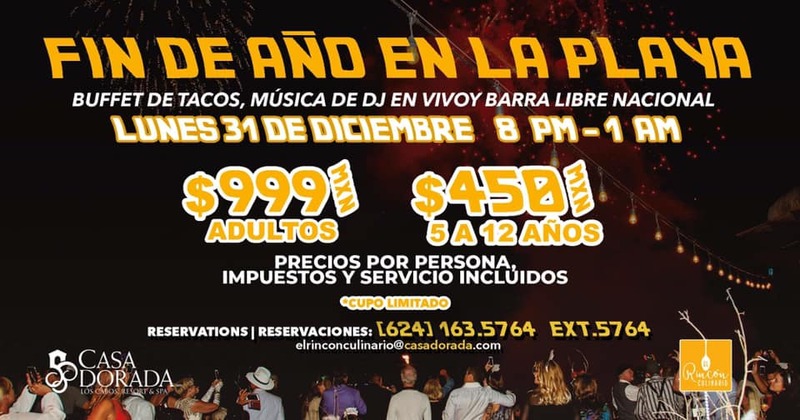 Come to Celebrate this New Year’s Eve at El Medano Beach in El Rincón Culinario, with a Tacos Buffet, live DJ Music and National Open Bar from 8 pm to 1 am. $ 999 pesos x adult and $ 450 pesos x children from 5 to 12 years old. 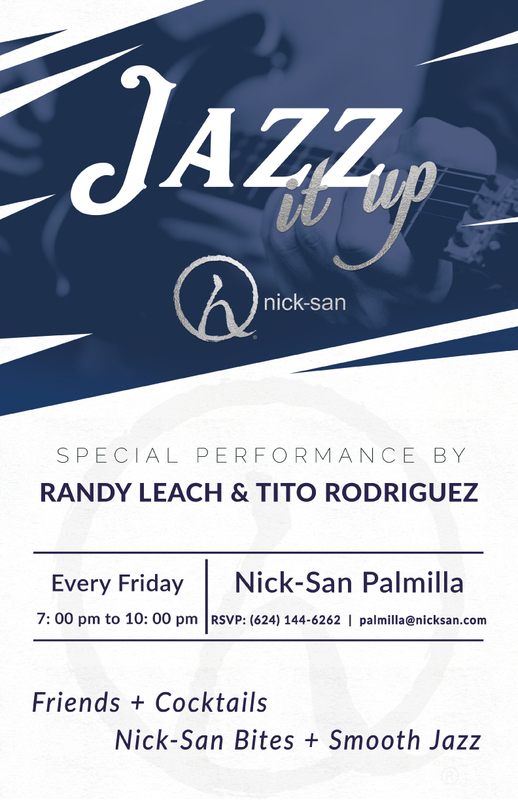 This entry was posted in Los Cabos Restaurants Events and tagged dinner, El Rincón Culinario, New Year’s Eve 2019 on December 27, 2018 by Rebeca Valladares. Join us this December 31st for our exclusive beach party! Spend the last minutes of 2018 enjoying our Premium Open Bar while eating amazing tacos from our station. $1,400MXN per person. Taxes and services are included. 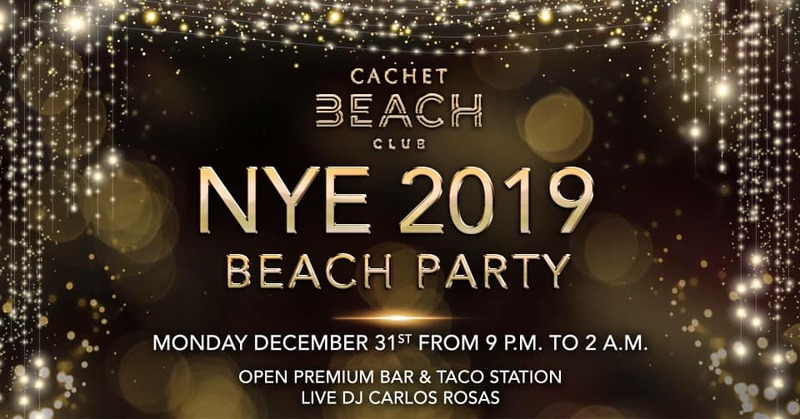 This entry was posted in Los Cabos Restaurants Events and tagged Cachet Beach Club, dinner, New Year’s Eve 2019 on December 27, 2018 by Rebeca Valladares.